Hello everyone!! 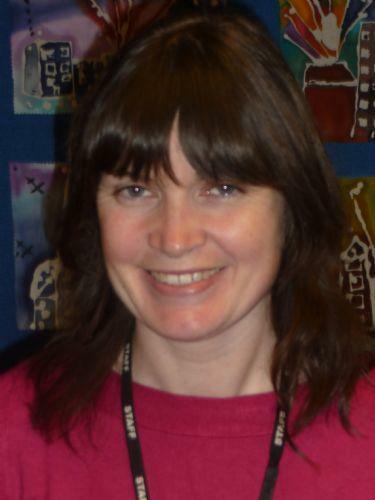 I’m Debbie Shaw, Peterbrook’s Child & Family Support Worker. I work four days a week, Monday-Thursday, and I have been in post since September 2011. I am based in the community room (formerly the science hut), at the back of the school. This is a room for parents, pupils and families to use; meetings are held here, there is a parent notice board with all the latest information about what’s going on locally and it includes information about other services and how they can offer support to families.. I listen and appreciate parent issues and offer suggestions and advice for individuals and families. I also sign post to other services available within Birmingham and Solihull. In addition, I support families through a programme of home visiting. Family Learning Programme: a partnership between Peterbrook Primary School and Solihull College. For the past 4 years we have had a good working relationship with Solihull College, where parents have worked towards a functional skill either in English and Maths. During the year the parents and there children have also had the opportunity to work together on joint projects. They have created poems, maths games and cooking simple fun cakes. Watch this space for more information about this programme. Since 2012, there have been lots of opportunities for families to attend family day visits to exciting destinations. These include days out to Weston Super Mare, Conkers, Birdland, Umberslade Farm and annual trips to pantomimes. Let’s watch this space for information regarding the next family day out to … Conkers!! Hope the weather is kind to us. During a series of workshops, I train Year 5 pupils to become Playground Pals in both the infant and junior school playgrounds. The playground pals are on the playground to play games with the children and to ensure all of the pupils are happy and having fun. Keep Cool is a programme which is produced by 'The Children’s Society' charity and is delivered to year 5 pupils in small groups. This weekly pupil well-being programme promotes the building of healthy relationships and safety in the home. According to need, I also deliver group work to pupils exploring anger management and friendships. Do you like to move to music? If you have answered 'yes' to any of the above questions then please come along and join in the fun. All levels and abilites are welcome. Class usually consists of 30 minutes aerobics and 30 minutes of body toning. I have co delivered this group since 2012 to parents. The group runs for 10 weeks and it is based on an approach developed in Solihull that has been helpful to parents. A as result of participation in the programme, children’s behaviour tends to improve. Each session focuses on a different child-centred issue for e.g. child’s development, sleep, feelings and play. This is a brand new programme we are currently having delivered at Peterbrook School. Solihull Active have successfully delivered a pilot programme to year 1 pupils and is now been delivered to Year 3 and 4 pupils. This is a 10 week programme working with the pupils and their parents to live a healthy lifestyle, they look at both physical exercise and nutrition. These are fun art and craft activities that both parents and children take part in together after school. These have included making mothers and fathers day gifts, Christmas and Easter activities. Every Wednesday lunchtime: This idea was suggested by the pupils at Peterbrook. It's aim is to listen to any pupils (years 3- 6) who have any worries at home or at school, especially regarding the SAT's Tests, friendships, bullying, etc. I listen and offer support and practical advice.